With optional pre-takeover stay in Belize City! Plus, you can continue your Caribbean adventure on the Temptation Caribbean Cruise! After spending time in Costa Rica & Panama, we are excited to head to Belize for our 4th Annual Tropical Lifestyle Takeover – Belize Edition! For 2020, we are taking over a private beachfront resort on Ambergris Caye! Ambergris Caye, Belize’s largest island, was named the leading destination in Central America by the World Travel Awards in 2015 & 2016! The island is known for its Caribbean beaches, plus all the water sports, including scuba diving and snorkeling, since the second largest barrier reef in the world sits off Ambergris Caye’s east coast, with famous spots such as the Great Blue Hole, 406 foot-deep, 1,000 foot-wide former limestone cave, the marine park Hol Can Marine Reserve, home to Shark-Ray Alley, a popular diving spot for seeing rays and sharks up close, and Bacalar Chico National Park and Marine Reserve, a UNESCO World Heritage Site. The town of San Pedro is the entry point to Ambergris Caye, with an airport and water taxi dock. You can choose from a short & scenic 15-min flight from either Belize City airports or you can catch the water taxi from the port of Belize for the 1.5-hr trip with a stop at Caulker Caye. The primary mode of transportation is golf carts, or you can also catch water taxis. San Pedro may be small, but it has tons of dining and lively entertainment options. Sundiver Beach Resort was featured on Season 5 of HGTV’s Caribbean Life, where Brian and Mary from Maryland bought the resort in 2015! 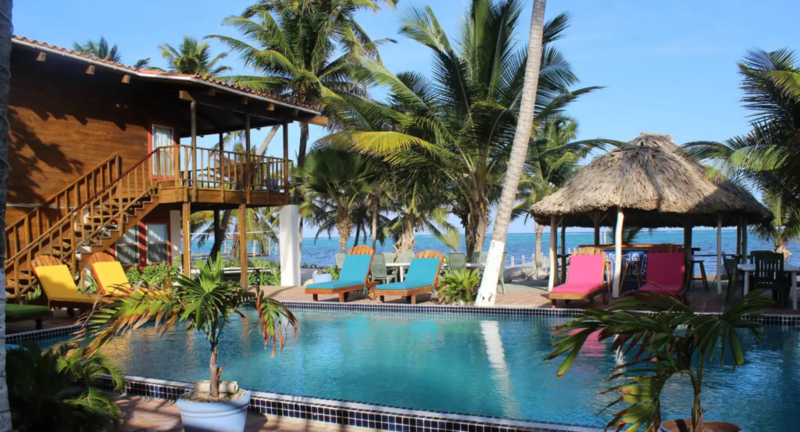 It is a beautiful and cozy resort located on the North side of Ambergris Caye, close enough to town to enjoy San Pedro’s activities, yet far enough away to have some secluded peace and quiet. There is a Freshwater pool deep enough to do scuba diving lesson, and a private Palapa beach bar, steps from the pool and the beach. We will have golf carts available if you wish to explore the island or you can catch a water taxi from the resort’s 200-ft dock. As we are doing a full takeover, we have flexibility and can customize our stay. The maximum capacity for this Takeover is 24 people so it will be a very intimate takeover. The pool deck is clothing optional, but the beaches in Belize are not clothing optional. The resident chef prepares the meals fresh each day so we can accommodate all dietary restrictions and requirements. Let us know if you have any special dietary and beverage requests and we can make sure the bar will have your favourites, plus we are including one top-shelf request per person as well! We will have designated playroom and a Sybian available for you to use, along with special guests offering complimentary and paid workshops and seminars. Everyone will have one complimentary massage AND we will all go on an Excursion to Caulker Caye, for souvenirs shopping and explore the charming island. There are also discounted excursions available for you to book. Sundiver Beach Resort has four Suites (second floor – 1 flight of stairs) and eight standard rooms (ground floor) in two buildings, each with 2 suites and 4 rooms, all of them with ocean-view. There is a large Great Room Building in the center of the property with the dining room on the second floor and the library and office on the ground floor. All 3 buildings are beachfront and surround the pool and beach bar. The eight Standard Rooms are located on the ground floor with one King bed, all with ocean-view and a patio, which means you can walk right out onto the beach! 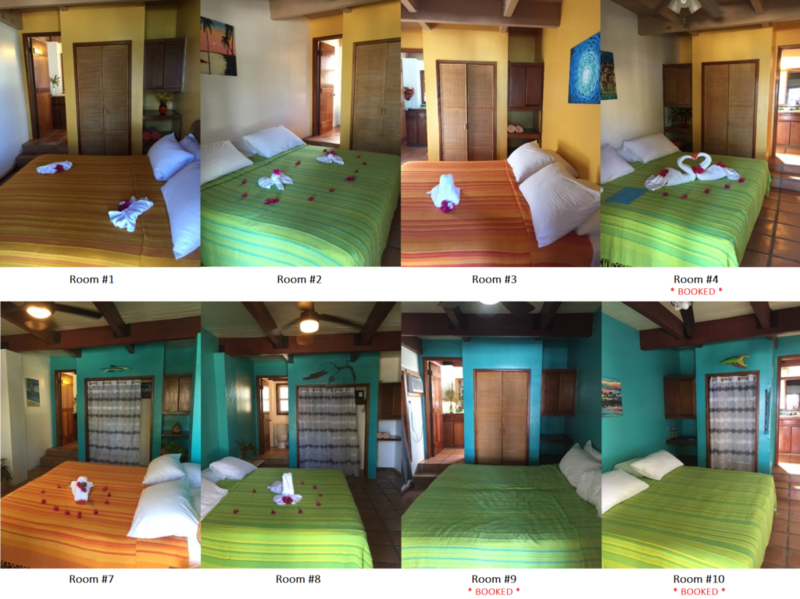 All Standard Rooms are decorated in local tropical decor with full bathrooms with hot water, air conditioning, WiFi, safe, and a patio for enjoying the ocean view and breezes. The four Suites are located on the second floor (one flight of stairs) with one King bed, all with ocean-view and a balcony, which means you get spectacular views of the ocean! All Suites are decorated in local tropical decor with full bathrooms with hot water, air conditioning, WiFi, safe, a sitting area and a small kitchen area with a microwave and a mini-fridge, plus a balcony for enjoying the ocean view and breezes. The easiest way to get to Sundiver Beach Resort is to fly to Belize City’s Philip S. W. Goldson International Airport (Airport code: BZE), then you can fly to San Pedro Airport (Airport code: SPR) on Ambergris Caye. You also have the option to fly from the Sir Barry Bowen Municipal Airport (Airport code: TZA) or take the water taxi from the Port of Belize, both of which are about a 30-min taxi ride from the International Airport. Ying Ying & Jason will host the Meet + Greet and bring the group to Sundiver Beach Resort so this is a relaxing and stress-free way to start your vacation. You are also welcome to add on extra nights at Radisson Fort George Hotel and Marina if you like a few extra days to explore Belize City before and/or after the Takeover. There are various attractions, such as the Belize Zoo, and tours to ancient Mayan ruins, like Xunantunich, that you can add to your stay. If you book a Hotel Package for ALL FOUR Takeovers in 2020, the Tropical Lifestyle Takeover – Belize Edition, the Summer Lifestyle Takeover, the Europe Lifestyle Takeover – Greece Edition, AND the Whistler Lifestyle Takeover, your Summer Lifestyle Takeover Hotel Package will be FREE! 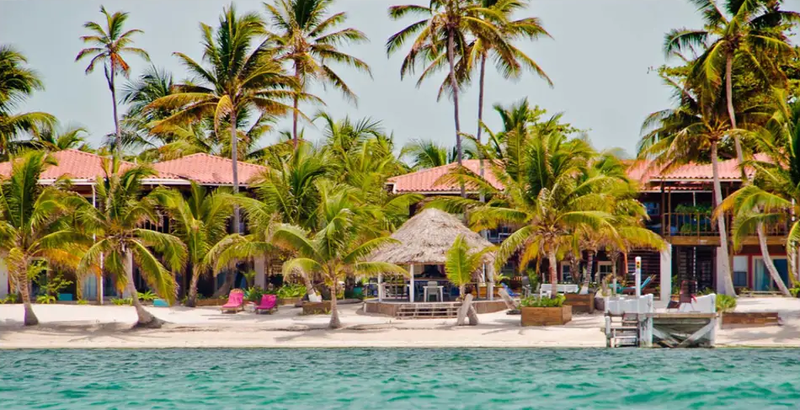 If you book a Hotel Package for THREE Takeovers in 2020, the Tropical Lifestyle Takeover – Belize Edition, the Summer Lifestyle Takeover, AND the Whistler Lifestyle Takeover, you will receive 50% off your Summer Lifestyle Takeover Hotel Package! If you book a Hotel Package for the Tropical Lifestyle Takeover – Belize Edition, AND the Whistler Lifestyle Takeover, you will receive 25% off your Whistler Lifestyle Takeover Hotel Package! If you book a Hotel Package for the Tropical Lifestyle Takeover – Belize Edition, AND the Summer Lifestyle Takeover, you will receive 25% off your Summer Lifestyle Takeover Hotel Package!